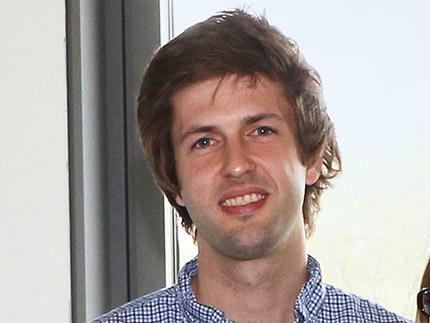 Oliver Reimann received his master‘s degree in chemistry from Freie Universität Berlin. Since 2011, he has been working towards his doctorate as a member of the research group led by Professor Christian Hackenberger at the Leibniz Institute of Molecular Pharma­cology in Berlin and Freie Universität Berlin. Two years of this research was funded by a scholarship from the German Chemical Industry Fund (FCI). His research work addresses the influence of post-translational modi­fications such as phosphorylation or glycosylation on tau protein pathology.